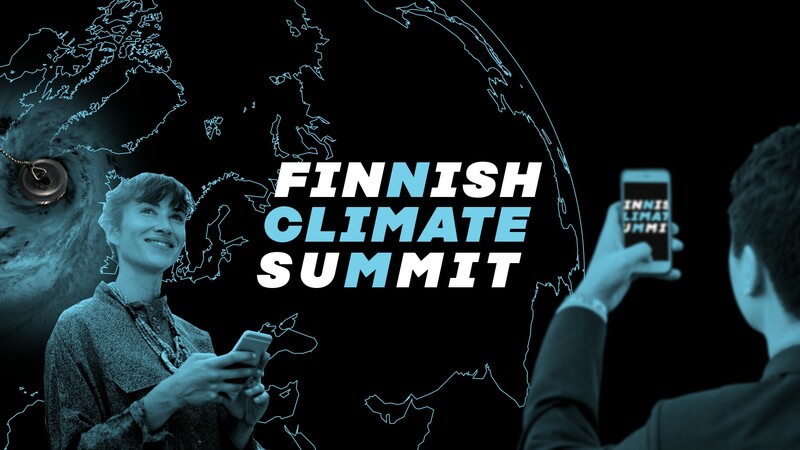 The Finnish Climate Summit to be held in Helsinki on 13 June strives to accelerate climate action in Finland and in Europe. Attracting leading international guests, the event will focus on measures to mitigate climate change. Even Finland needs to take more action if we are to meet our Paris Agreement goals. The summit will focus on how we can move faster in tackling the climate crisis. What more could Finnish businesses, municipal authorities and investors do to cut emissions to a sustainable level? How could we turn Finland into an international climate leader? What are the best Finnish climate solutions we already have? And how far have we come in the development of solutions for business and everyday life that can also thrive in a low-carbon world? These are issues the Finnish Climate Summit – organised by Sitra, the Finnish Climate Change Panel and the Finnish Institute for International Affairs – will address. This high-level event will welcome almost 500 Finnish climate influencers and international guests to Finlandia Hall on Wednesday 13 June. “Sitra’s job is to help Finland prepare for future challenges and opportunities. The climate crisis is a question that will decide the future of mankind, and Finland can punch well above its weight in seeking solutions to the crisis,” says Oras Tynkkynen, Senior Advisor, Carbon-neutral circular economy, at Sitra. The programme will begin with a keynote speech by the president of the historic Paris climate conference, former Prime Minister and President of the Constitutional Council of the French Republic, Laurent Fabius. Another international keynote speaker at the event will be the Director-General of the Confederation of Norwegian Enterprises, Kristin Skogen Lund. The Climate Summit will be opened by the President of the Republic of Finland, Sauli Niinistö. The participants in the panel discussion at the plenary session of the summit will be the Minister of Transport and Communications, Anne Berner; Finland’s Chief Negotiator for Climate Change, Outi Honkatukia; MEP Miapetra Kumpula-Natri; and former CEO and Chairman of Nokia Jorma Ollila. Other speakers at the event will include the Mayor of Turku, Minna Arve; sustainability and board professional Pertti Korhonen; the Minister of the Interior, Kai Mykkänen; the Governor of the Bank of Finland, Olli Rehn; and Deputy Mayor of the City of Helsinki, Anni Sinnemäki. The plenary session may also be followed as a webcast (see the recording). In the afternoon, the participants will be divided into three parallel sessions to discuss the summit themes from the viewpoints of entrepreneurs, municipal authorities and investors. The global sustainability crisis challenges our society and the foundations of its economy. Therefore, Sitra aims to make Finland a trailblazer for new growth policy and set goals and actions that challenge the policymaking within the EU to include a commitment to an ambitious increase in emission targets. In collaboration with national and international operators we have been promoting the best proven climate solutions for the rest of the world to copy, showing how there is a need for a circular economy especially in four key materials to achieve climate targets and establishing several low-carbon solutions in the business sector, administration and among consumers in our country. In addition, we are bringing global developers of the circular economy together to present the best circular economy solutions in the world. Photos from the event will be made available for general use in Sitra’s image bank. The photos may be used for non-commercial purposes in the correct context, mentioning the photographer’s name.